If you have been following my blog for a long time, then you know we have had an old artificial tree up for many Christmases past. Don’t get me wrong, I love artificial trees, but I do miss a real tree. There’s something special about the scent and the feel of the tree. I’ve missed having a real tree. My concern was that we had a tree tipped over and water went all over our floor in the past. We now have a wood floor and I didn’t want to deal with that again. Well I grabbed a new stand that is much more sturdy than the old ones. I am feeling pretty good that this one won’t tip over. So I was ready for a real tree. This post is sponsored by GREEN VALLEY CHRISTMAS TREES. All opinions are my own. Now let me say I love the idea of going to a tree farm to cut a tree, but with my kids grown, and living in the middle of a big city, having my tree delivered to my house sounded amazing! This one came in a box to my front door. My daughter and I unboxed it, which was lots of fun. You can see the 15 sec video on INSTAGRAM here. I set out a few Christmas things on my farmhouse tray. The angel is actually musical. 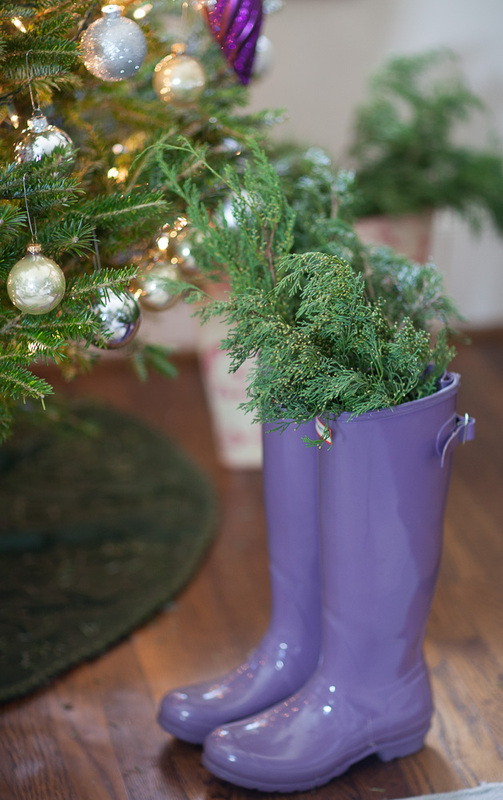 I thought I was cool putting greenery in my daughter’s boots until she got home and asked why there was green stuff in her boots. I told her I was deodorizing them. She gave me the side-eye. 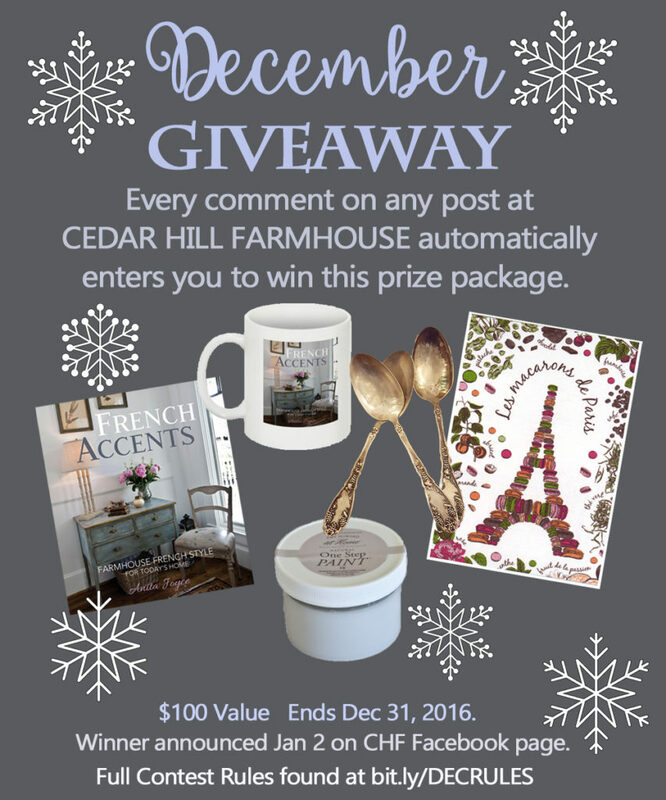 Remember commenting on this post (or any post) automatically enters you to win my December giveaway! I did have to add my favorite ornament. If you are a Texan you will understand this. We also have a matching armadillo ornament. I made room for my nativity creche in the dining room. I wasn’t sure where to put it, so it on top of this column. I decided when I finished decorating I was just going to sit and enjoy it. 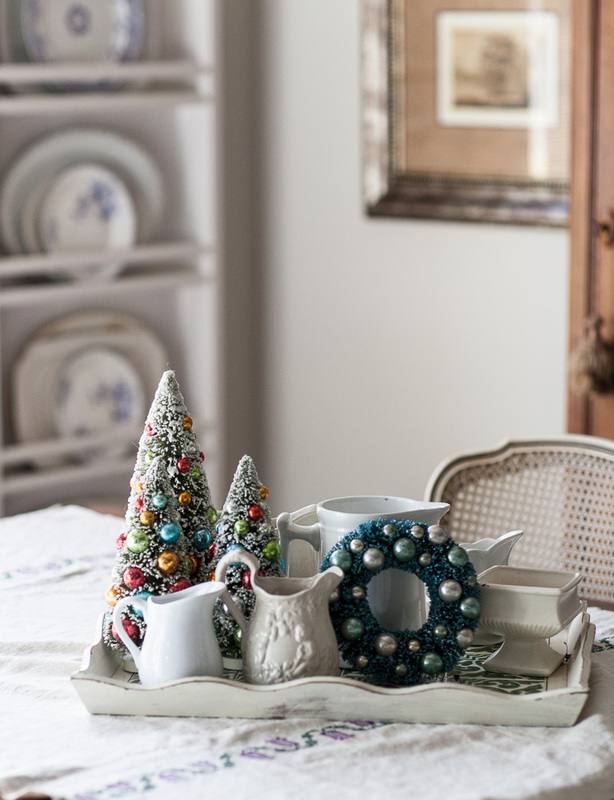 There’s a bit of Christmas in my breakfast room with a few bottle brush accessories. I set up some candles on my island. I love the way the candlelight flickers. It’s getting dark outside and we just got a cold front so I may just sit in front of the fire for a little bit. Thanks for stopping by. Remember to check out the trees over at GREEN VALLEY CHRISTMAS TREES. They will ship it right after cutting and get it to your door quickly. 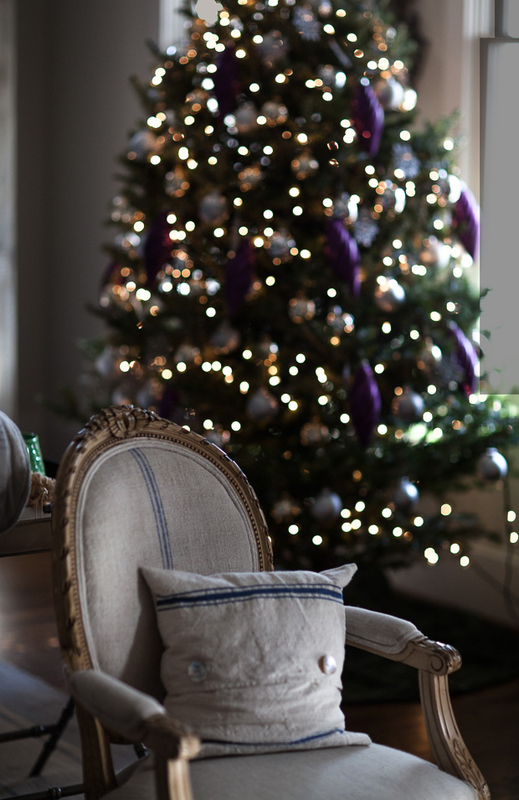 Check out these gorgeous Christmas posts from my friends. “She gave me the side eye.” Heeheeheeeeeee. It’s beautiful and love the candlelight. Simple but elegant at the same time.Love the decorating.MERRY CHRISTMAS. 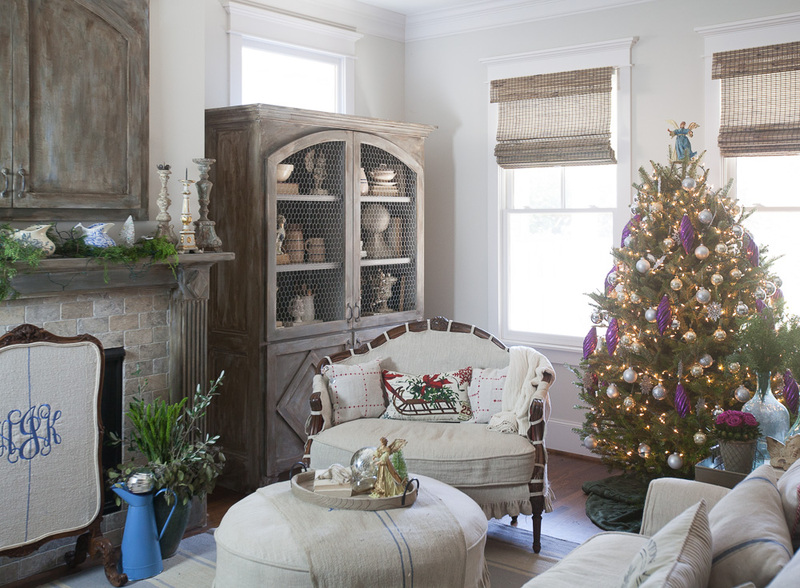 Your home is in a most lovely Christmas spirit! could u please tell me where u purchased that beautiful pillow? Thank you so much for sharing all the lovelies!! Anita, I just KNEW your home would be lovely! Merry Christmas and many blessings in the coming year. Anita: I love your writing style! 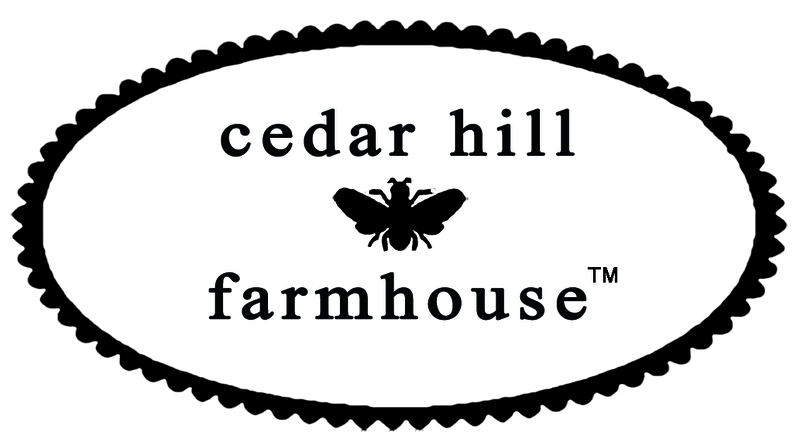 I am always glad to see an email from Cedar Hill Farmhouse in my inbox. Please keep them coming! Beautiful and warm Christmas home. Love the lavender accents. My two daughters are crazy about anything purple!! What a most gorgeous tree and the room too! 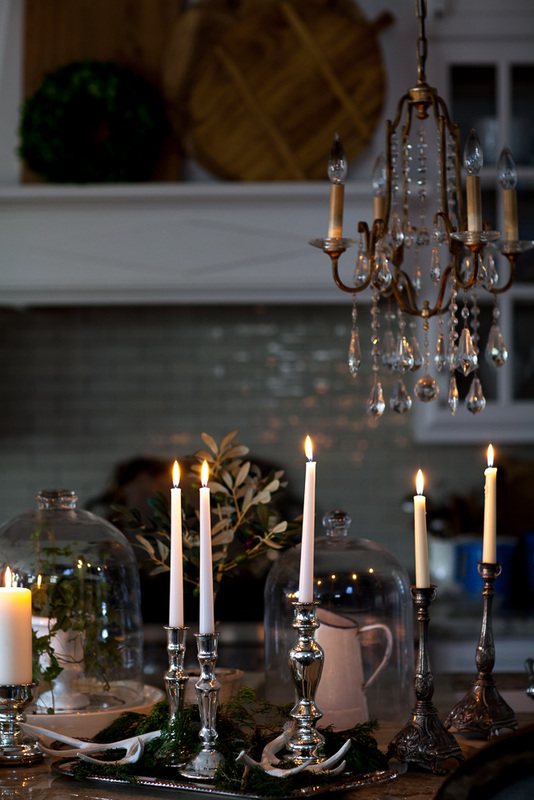 Love how your home sparkles at dusk….I would sit in front of that beautiful fireplace of yours too and enjoy the moment! BTW..love the color your daughter’s boots!!! Green Valley! I have to remember that for next year. As you know there are no tree places in our hood so I went down the highway, bought a little tree, let them shove it into my SUV, brought it home, pulled it out, and now have needles in places in my car that will be haunting me next summer! What we do for Christmas. 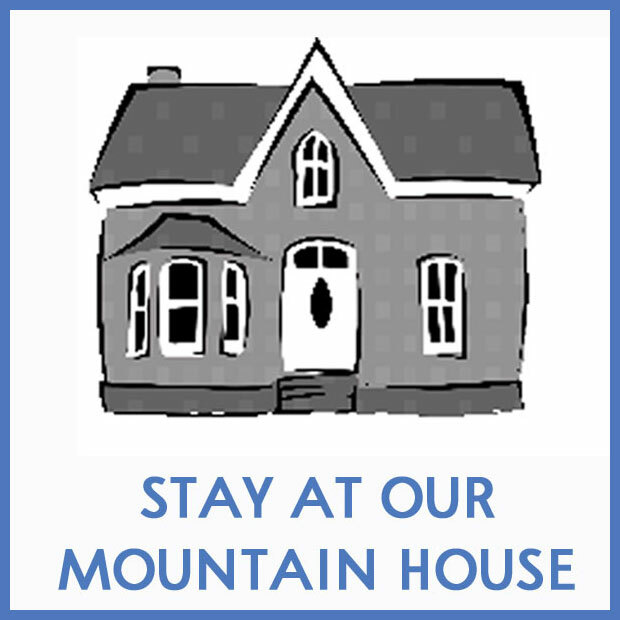 Your house looks gorgeous and ready to go! Oh yes, it was wonderful to get it delivered and they have free shipping right now! So beautiful! You just got me motivated to decorate more than I planned! I love the idea of simplicity. Sometimes that is all we need. I am using some of your ideas this year. I am not always in a “Christmasy” mood but this suits me. Simple or less is more. How about that? Thank you for the good ideas. Where did you find or buy the “Bottle Trees”? I ventured on your products page and found the wreath but not the trees? They are sweet and would be an added touch at work! I love your tree and all your decorations. I have a question for you about the church pew you use Annie Sloan paint and wax on. I just received a beautiful pew last night?. Can I just clean it and apply the dark AS dark wax on the pew without painting it? 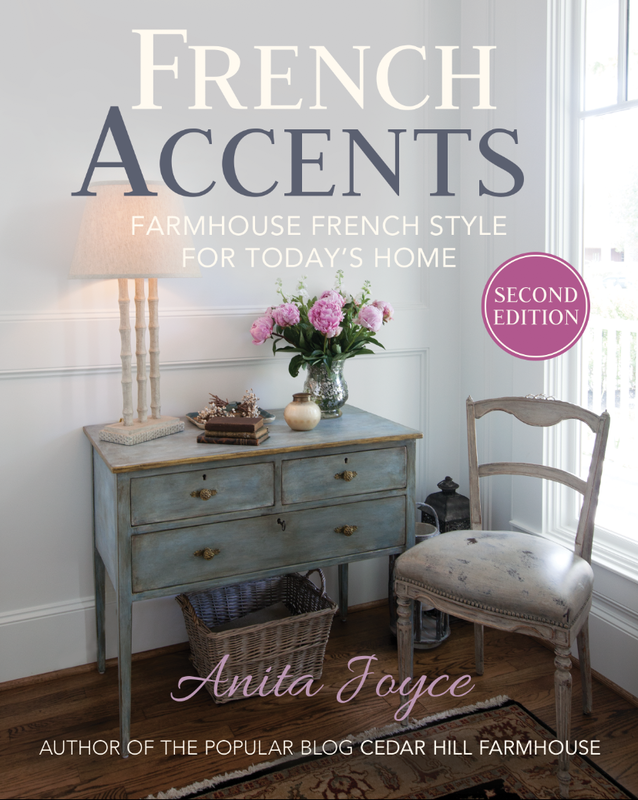 Thanks Anita I am just so excited about bring it inside. Yes you can apply wax to stained or painted wood. Just test in an inconspicuous spot. Thanks Anita for answering so quickly. Enjoy all those beautiful Christmas decorations you have. Merry Merry to you. I will send a picture when finished. I love your Fraser fir tree. As a fellow Outlander fan, is there any better tree to have? Your home is beautiful. Hah, you got the ‘Fraser’ reference! #JAMMFforever. We spent 35 years in Texas and our three children are all Texans. I love Texas. Your tree looks lovely. It all looks perfect, Anita! I’m loving the side-eye too! Love getting your emails… thank you for the ideas it’s so fun to use them! How I miss the smell of a fresh cut tree. Unfortunately my daughter is allergic so I have to do with artificial. I’m imagining how it smells though. Bottle brush Christmas trees are all over this year. Love the ones you put out. Thanks for sharing. So pretty. 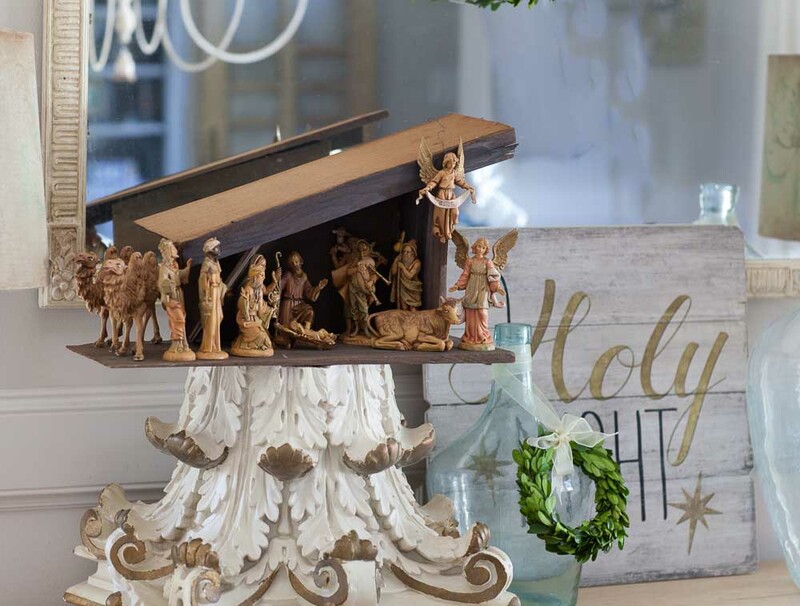 Where can I find the little “doll” ornaments pictured above: http://mysoulfulhome.com/wp-content/uploads/2016/11/shabby-art-boutique-bHome.jpeg ? I went to the Shabby Boutique site but didn’t se them. I don’t know Dianne. Sorry. Love the simplicity and you made me feel like I would like to be there curled up sipping coffee and listening to Christmas music. Lovely tree & I love the purple ornaments!! What a beautiful post! I love your style – so elegant, but without drama. Truly inspirational. Oh wow! It’s gorgeous Anita! I love all your details for Christmas. Thank you for the inspiration. 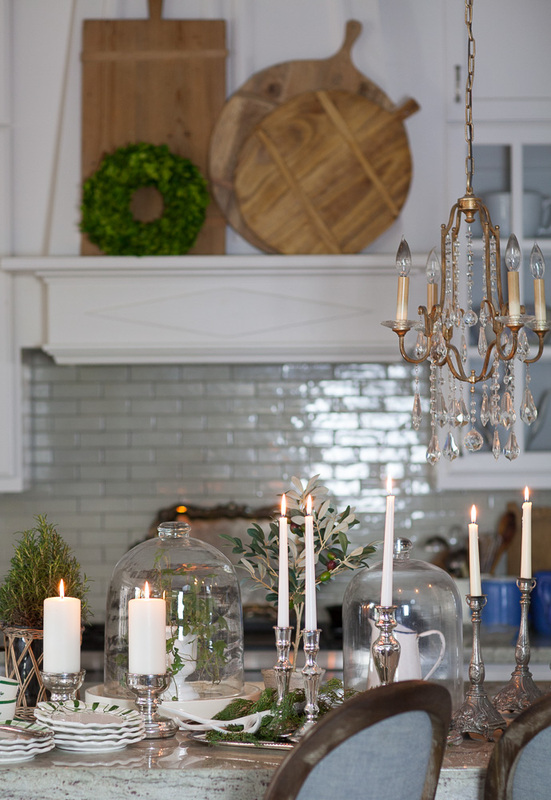 I have been trying to figure out how to give our holiday decor a fresh look this year, and I plan to steal several of your ideas. Thanks again! 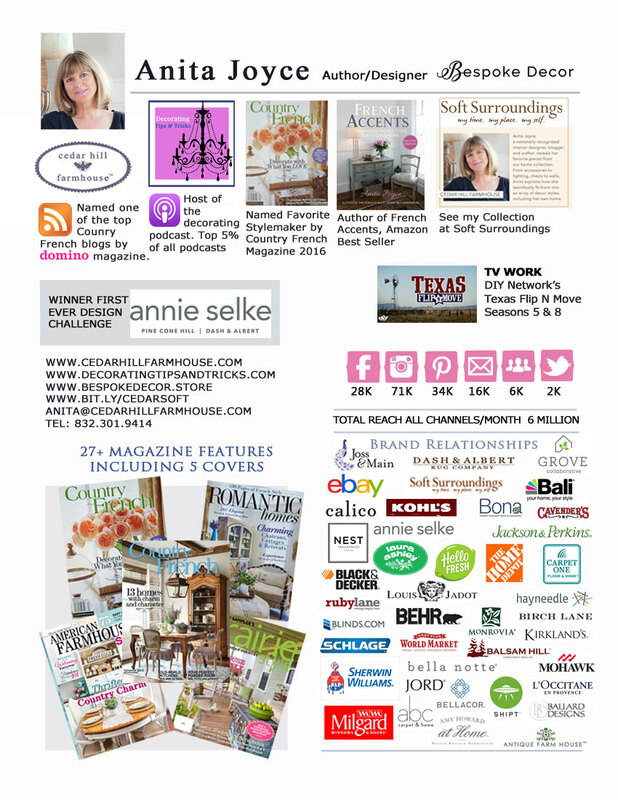 Beautiful home… Your island and kitchen are breathtaking Anita! Merry Christmas! Love your daughter’s purple boots all decked out!!!! 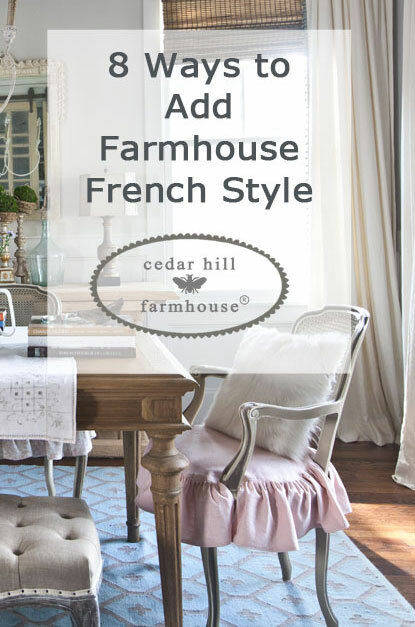 I’ve recently discovered your blog and I love your decorating style. 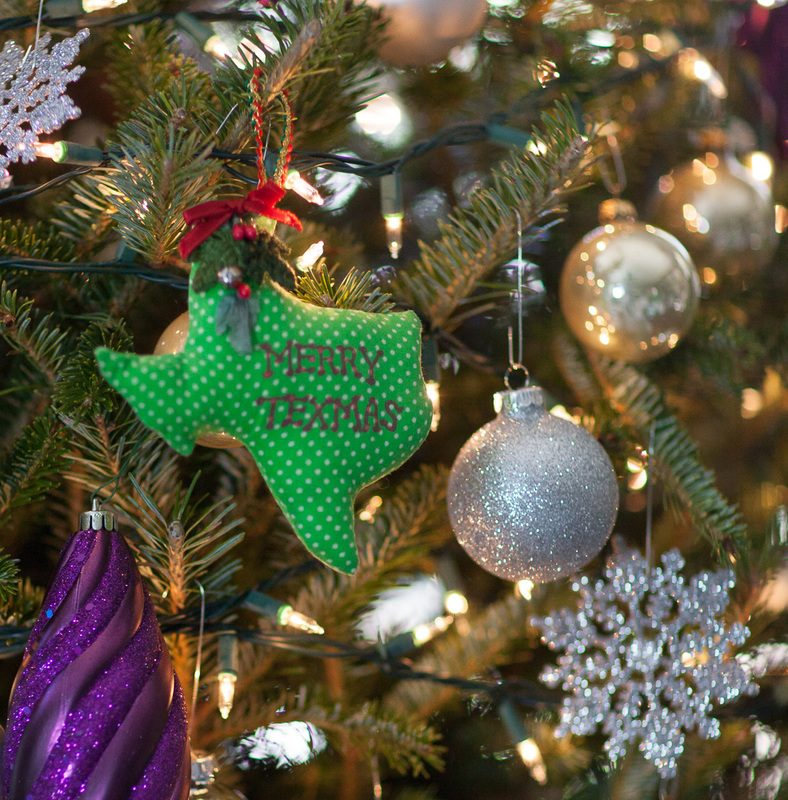 Of course, being a Texan, I really liked the Texas ornament! That’s fabulous and welcome to Cedar Hill Deborah!!! Everything is so lovely- you always do such an amazing job. I particularly love the touch of LAVENDER- which is quickly becoming a favorite color of mine! So fun blog hopping with you this week…wishing you a wonderful holiday!! The real tree is beautiful. I love the way that you decorated it. I’m from Texas also. We are a loyal bunch – aren’t we? I also like your tray on the coffee table that’s filled with so many pretty things. Loved the trays and the festive island decorations. A little bit of Christmas in every space, including boots. I love the smell and feel of a real tree, as well! My family is volunteering at a tree lot this year on a few weekends, and the smell is truly wonderful! Thank you for sharing your tree! Merry Christmas! I too collect the fontanini creche. I set mine up on my sideboard. I love your royal touches of purple! 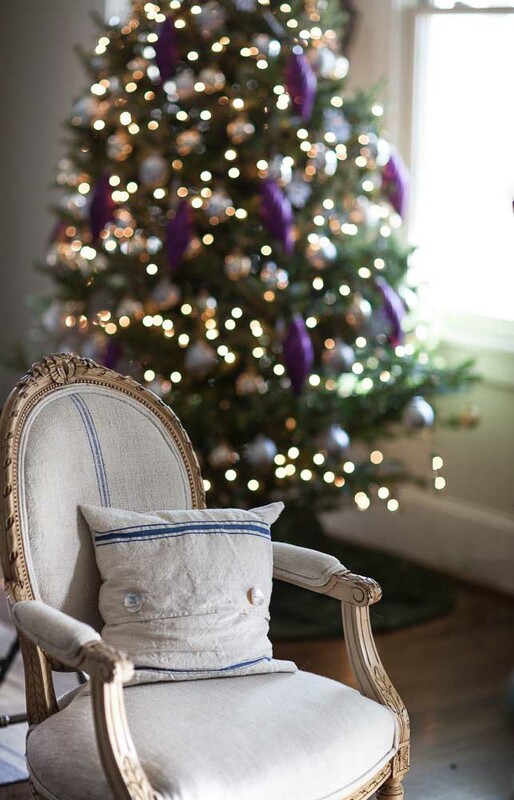 The touch of lavender makes for an individuality in your decorations. I love your taste as always. Have a Merry Christmas! I’m with you I love the smell of a fresh tree, however with the dry California climate it doesn’t last. I always pick up a fir scented candel and have it burning through out the season to trick my senses into thinking my tree is real. The purple ornaments look lovely. 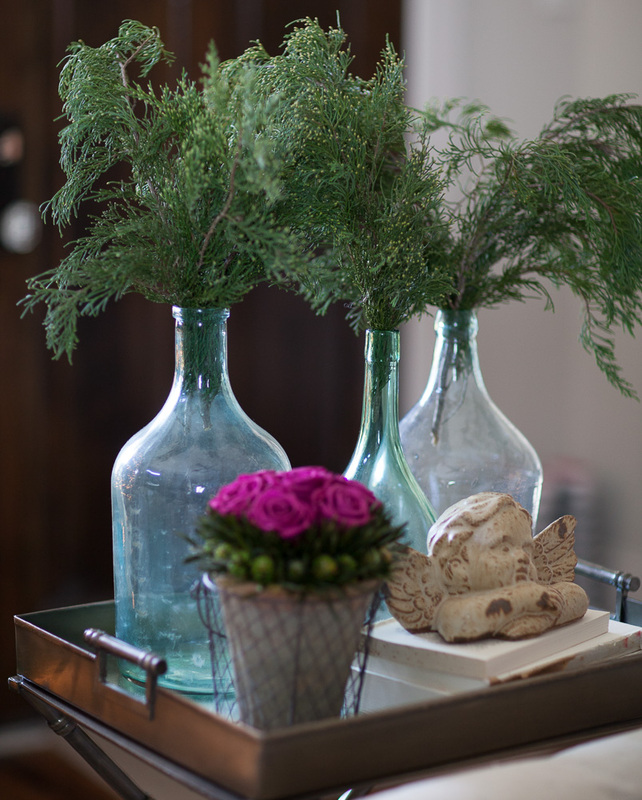 Always love all your special touches making your home so lovely. 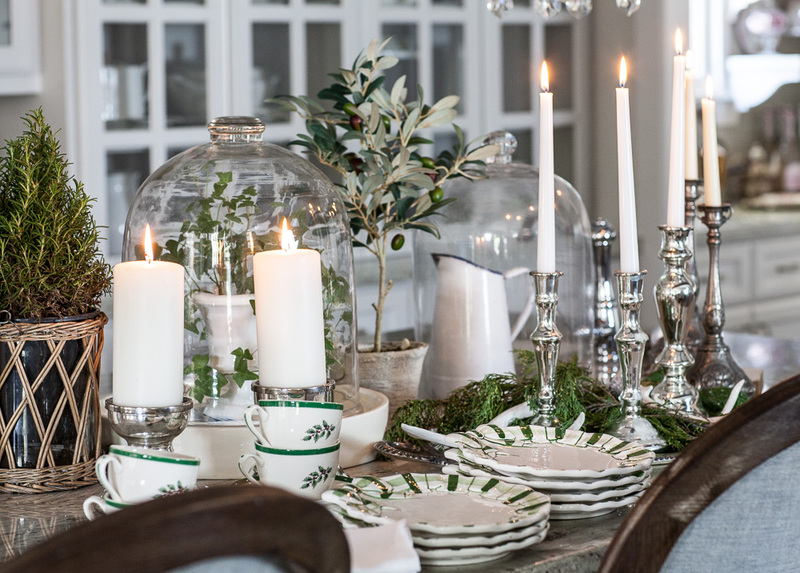 I love the styling of your other Christmas items too. I’m super envious of your fresh tree Anita. Where I live in Australia it is too hot to have a real tree, but I do love the smell. Yours looks lovely with the silver and purple baubles. Merry Christmas! So pretty Anita!! looks so cozy,simple but refined. also, thanks for the links to some of the other places. i have alot of work to do on Christmas for the house this week! Get out the Creche, my little houses with lights and little trees,and try to get some more listings and items in my shop too!I’m going to move things around this year, I think. I love the trays filled with lovelies. I think I will do that too! 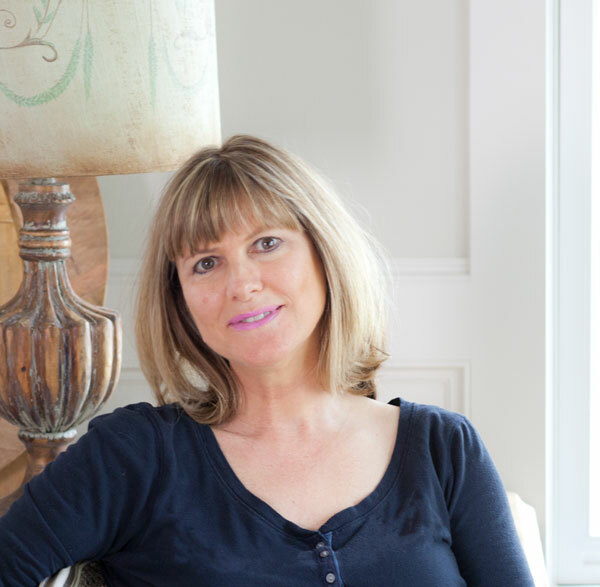 thanks for the inspiration and for sharing your beautiful home! Wehave had many Christmas trees but one stands out for our grown children. The 3 of them went with their father to cut a tree on family land. They came home with a holly tree. Yes! a Holly! It was full of red berries and a beautiful tree. But have you ever tried to string lights on a holly tree? Put Christmas decorations on one. Lots of yelps and ouches and we had a decorated tree. Trees are all about the memories they make. Deodorizing the boots, hmmm? Good one! — wait! I’m in Texas…. should I have an armadillo in my tree? On my tree ? Do possums count ? — I saw OUTLANDER above and had to go back and read it…. you’re a fellow Scot-Lover ? I’ve read all the books over and over…. every time a new book comes out I start over from the beginning. LOVE Diana Gabaldon! I don’t get Starz, so I don’t get to see the series. HUGE hardship on me! 🙂 — I like seeing another tree done in purple. I have a small one I put out completely filled with my favorite color, but the main tree is decorated with the ornaments I grew up with as well as those my hubby and I have collected on our travels. Your tree is gorgeous, love the colors you have used to decorate it. It’s very elegant. I also prefer live trees but have had artificial trees for years due to my back and knees, being unable to get down to water the live ones I had to resort to the artificial ones. But I miss the smell of the live tree and using the extra limbs from the bottom to decorate with. I wish I had a daughter that would put up the Christmas tree, I wish I even had a daughter. I have 3 boys and they love the decorations but are no help at all. But I’m really hoping for a granddaughter some day that will love to help me. Everything is beautiful. I love the touches of purple, especially the boots! Love the lavender and purple accents, unexpected but beautiful. My favorite is the lavender boots, I want some! Your use of the greenery in different places spread around is pretty and … I’m a Texan too so I do understand. I need an your ornament to put on my tree here in Missouri. I am a real tree kinda’ gal too! Both kinds are pretty tho. I have a country tree i keep up all year long, just in case i really need to see the white lights flickering!! Love lights on a tree! 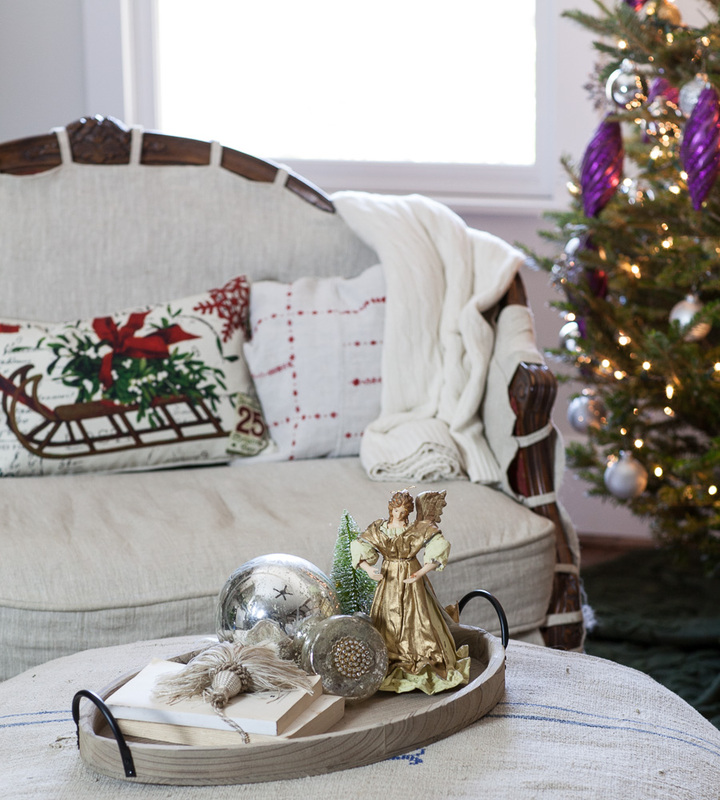 Love the purple accents on the tree and the pillow in the chair. What a beautiful tree! I especially love the pops of purple. Purple is not my favorite color, but I like the ornaments you have used on your live tree! it is also a color we use for our Church’s Advent Celebration Banners, and to complement wreaths/greenery, etc., during the Season. It is nice to see it in your home, as well! Thanks for sharing ~ sending an early Merry Christmas wish! I miss a real tree, too. When our kids were little we went to a local Christmas tree farm and chose the perfect tree each year to cut down ourselves. Good memories. A tornado damaged their farm one year (we’re in AL) and I think they closed their business after that. We started buying real ones from Lowe’s, or wherever, but after 20 years of real, I was ready for the convenience of artificial, lol. I do miss the real thing, though. Maybe next year. ? Just joined your blog today! We always get a real tree! We are fortunate because a really nice small company called “Santa’s Tree Farm” comes from up north and brings a huge load of trees! They send a mailer each year with a coupon and if your number is on their list you get $25 off! 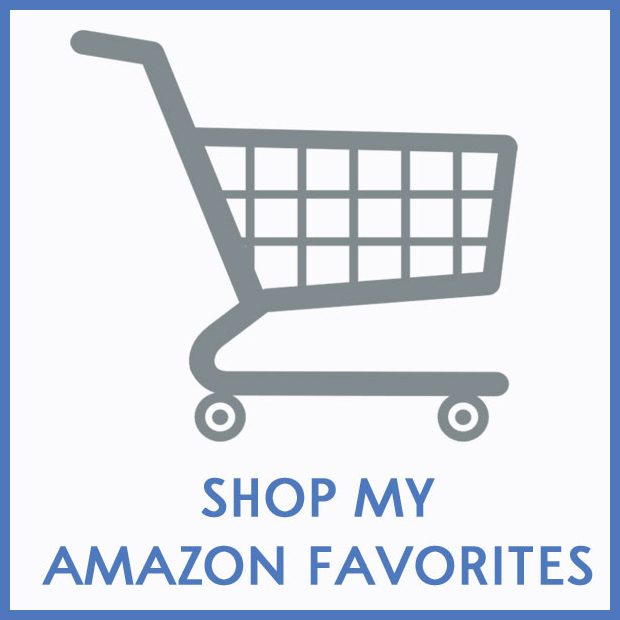 My husband is a police sergeant so they give 1st responders and military a 10% discount! We love going there and it is something we do as a family every year! Love your tree! So pretty! Can’t wait until we get our tree! Blessings! Oh that sounds wonderful Babette! So glad that they do that for first responders. We need our police!!! Thank you and blessings to you.